I don't usually shop in Sephora coz they had a 20% off storewide. I didn't go crazy... i wanted to, but at the back of my mind, brand new the products in my stash were reminding me not to. So, here's the items that I purchased. First up, I got the Ole Henriksen Instantlt Ageless Essential set at $72 which I paid $57 for. 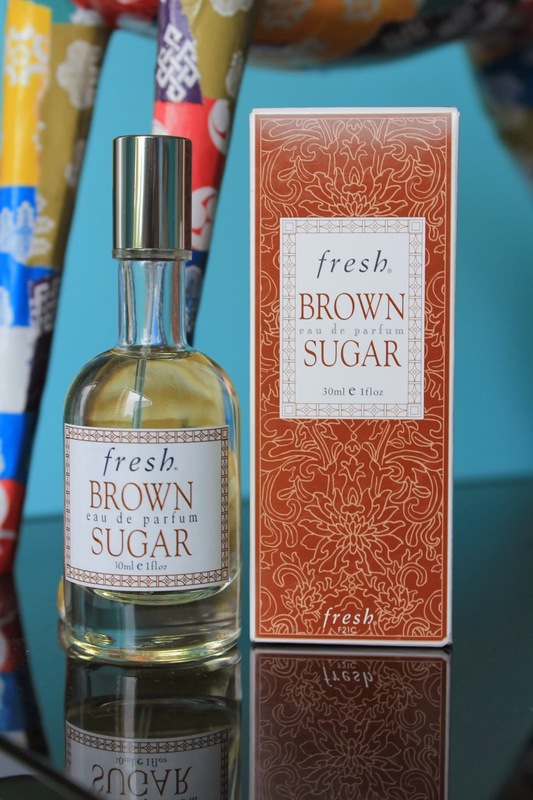 Next up, I purchse this Brown Sugar EDP by Fresh coz the one which I was gifted with is running dangerously low. I simply love love love this scent so much that I am getting a replacement bottle. I retails at $49 and I paid $39 for it. For my hair, I picked up this Percy & Reed No Oil Oil for fine hair. Retails at $30 and I paid $24 for it. 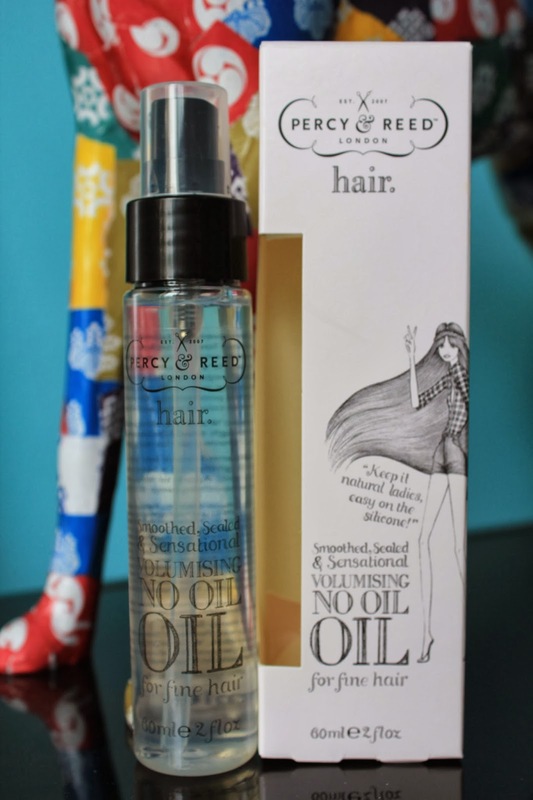 As with most people, I am wary of adding oily serums to my hair but this oil doesn't leave any residue to my locks which is such a bonus. However, I wouldn't know if it is doing anything good either ... hehehee. Will find out after using it for a longer period of time. It's the Tarte Amazonian Clay Full Coverage Airbrush Foundation in fair light neutral. I am currently lighter than my usual MAC NC 20 shade and this shade suits me well. It retails at $$58 and I got it at $46. Next two items from Tarte are what I am most excited about. I chose two of their Amazonian Butter Lipsticks. Retails for $26 and I paid $20 a pop for each of these. Creamy Rose on the left and Pink Peony on the right. Aren't they just lovely to look at? 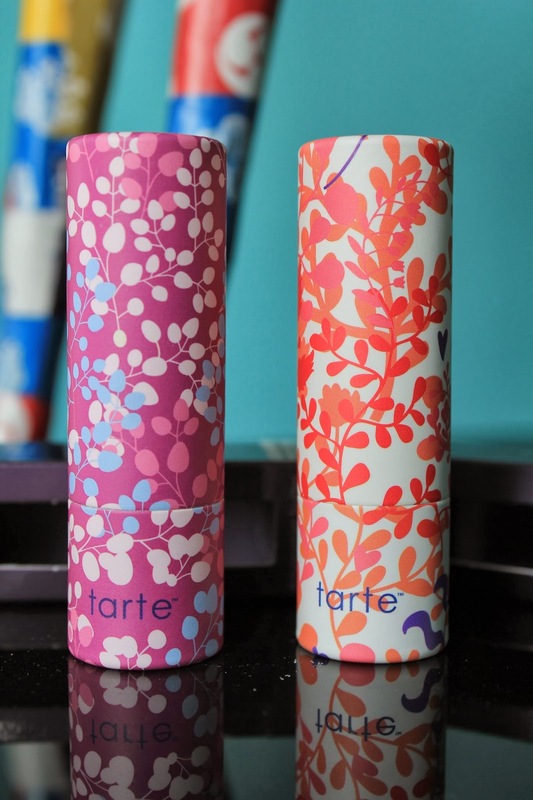 I'll consider these Butter Lipsticks sheer and they do contain peppermint oil which is in most of the Tarte lippies that I own. Such a joy to apply and feel a tingle of peppermint especially when your lips are feeling dry. 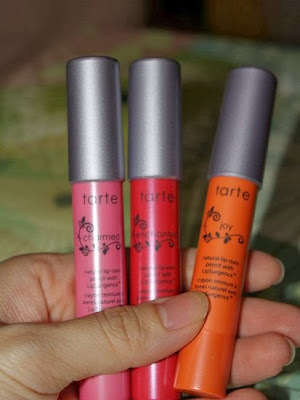 I have some swatches of the Tarte Lip Surgence Balm Sticks which I own. Click on picture to read on. I'm just gonna sum up the retail prices of these items in Singapore at our local Sephora. Might come in handy if someone wants to compare/know the retail prices in Singapore.